With the Microsoft Partner Conference over a month behind us, we reflected on the things we learned, the conversations we had, and the relationships we were able to build. Today, I want to highlight one major outcome for us as a company: our brand-new partnership with Insentra, a service company in Australia with a unique business model! 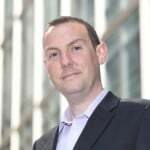 In his previous role with a large Australian integrator, Ronnie Altit, now the Managing Director of Insentra, ran into the same problem time and time again: vendors, distributors, resellers and managed services providers (the channel) were struggling to get the right personnel with the right skills at the right time — no matter if it was in presales or after the contract was signed. He thought that if his company with his division having more than 70 employees had these problems, then surely smaller ones would have the same issues, maybe even worse. Hire the right internal staff once the contract is signed, which is not feasible, as it takes at least 4-6 weeks to train and onboard new people, it is expensive, and good talent is hard to find. Hire a great contractor who is highly unlikely to have a positive result, as most of the time there is a good reason why they are available in the first place. Leverage another vendor who takes away from the initial value proposition with your client. Go to a competitor which you probably don't want to do. Insentra is now a fifth — and probably the best — answer to that problem. Additionally, Ronnie saw that it usually took software manufacturers about 12 months to get their channel resellers enabled and capable of selling and delivering their solutions, and another six months to gain considerable traction with new solutions. So the company was founded in 2010 with the intention of solving those two dilemmas. Offering IT services wholesale was not a new idea, and firms who had tried this before had often folded and deviated from their core. However, Insentra took a different approach: the company would offer presales (free of charge) and if the contract would come through, the delivery, implementation as well as ongoing maintenance and support if needed - but in an entirely non-competitive, supportive, empowering and collaborative manner. Their partners may choose to white-label Insentra's services or name them as a partner, but Insentra is always transacting exclusively through the IT channel. Having delivered more than 1,300 projects in over 500 end user organizations through 150 different channel partners over the past six years, Insentra has seen significant growth as Australia's and Asia's collaborative IT Services partner of choice. By partnering with Insentra, we as a company and, of course, our clients gain access to local and on the ground capable resources as well as some of the highest qualified and experienced IT consultants leveraging the best available tools. 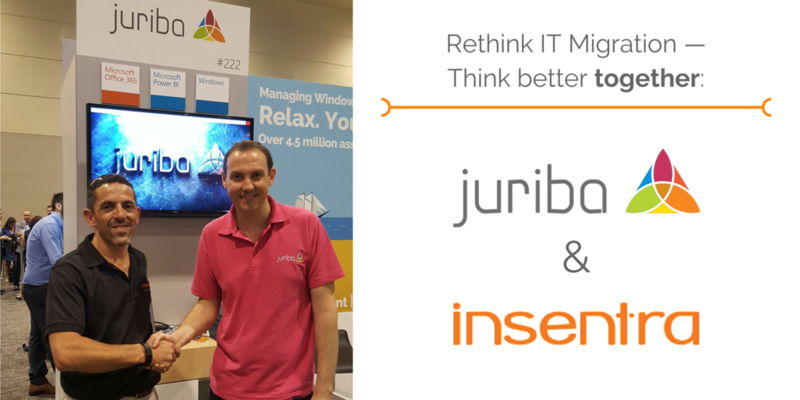 Juriba and Insentra will work in close collaboration over the next few months to expand on Office 365 and Windows migration projects as well as on-premise and cloud migrations. Achieve Evergreen IT for their partner's clients. We are excited to strengthen our partnership in the coming months and years and deliver together the best possible solution to our clients. Are you considering an IT Transformation Management Tool? Download our Buyer's Guide to learn how you can use Dashworks to tackle the most common IT migration challenges, get your biggest questions answered and much more.